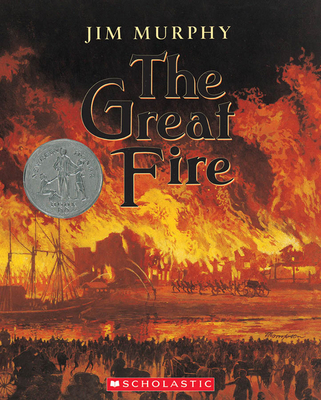 The Great Fire of 1871 was one of most colossal disasters in American history. Overnight, the flourshing city of Chicago was transformed into a smoldering wasteland. The damage was so profound that few people believed the city could ever rise again. By weaving personal accounts of actual survivors together with the carefully researched history of Chicago and the disaster, Jim Murphy constructs a riveting narrative that recreates the event with drama and immediacy. And finally, he reveals how, even in a time of deepest dispair, the human spirit triumphed, as the people of Chicago found the courage and strength to build their city once again. Jim Murphy is the celebrated author of more than thirty-five books for young readers, most notably TRUCE: THE DAY THE SOLDIERS STOPPED FIGHTING and THE GREAT FIRE, a Newbery Honor Winner. His carefully researched, engaging, and elegantly written nonfiction has garnered the most prestigious awards in the field. He lives in Maplewood, New Jersey, with his wife and their two sons.